In the region around Zurich, too, Fasnacht is celebrated with a variety of events. 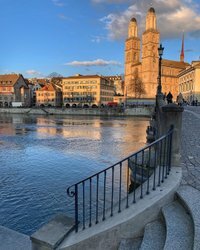 During Fasnacht, life in the city of Zurich and surrounding region becomes loud, colorful and wild for a few days. Strange figures with intricately designed masks parade through the villages and towns in the region around Zurich, while the traditional “Guggenmusik” – mostly brass bands playing well-known melodies very loudly and intentionally out of tune – give rise to a festive ambiance. Fasnacht is not only a highly colorful festival, but also an age-old Swiss tradition. Carnival in Zurich is a colorful public festival. Numerous restaurants, a parade, and a marquee erected on Münsterhof guarantee plenty of music and fun. “Schmutziger Donnerstag” on Maundy Thursday starts with a wake-up call at 5am and ends in the early hours of the morning accompanied by music and wine. 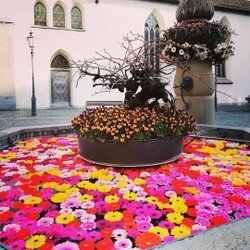 A grand parade, music, and a special Fasnacht church service all put the picturesque town of Baden in a party mood. Hundreds of children shout “eis, zwei, Geissebei” in front of the town hall in Rapperswil-Jona, thus bringing Fasnacht in Rapperswil to a close. In Winterthur, the keys of the city are handed over to the “fools”, who then rule the city for three days. During Fasnacht, an open-air theater play is traditionally held in Schwyz, featuring live music, singing, and spectacular lighting. 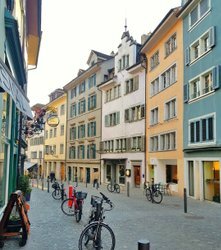 Luxury hotel or B&B, in the Old Town or by the lake: Zurich has suitable accommodation for everyone.